While in Arizona, I met someone that had just moved there from White Oaks. Their description piqued my interest for a visit. Located about 12 miles north of Carrizozo, it sprang up when gold was found in 1879. But, faded away after they refused a rail line through town. 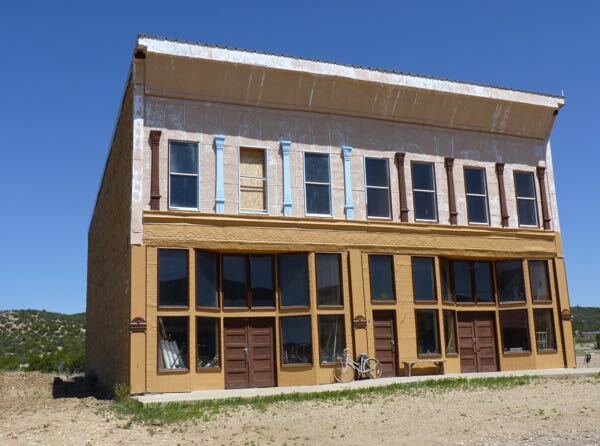 People still live there, but now it’s considered a ghost town. No business there except for the No Scum Allowed Saloon, which catered to bikers and was only open weekends and holidays. 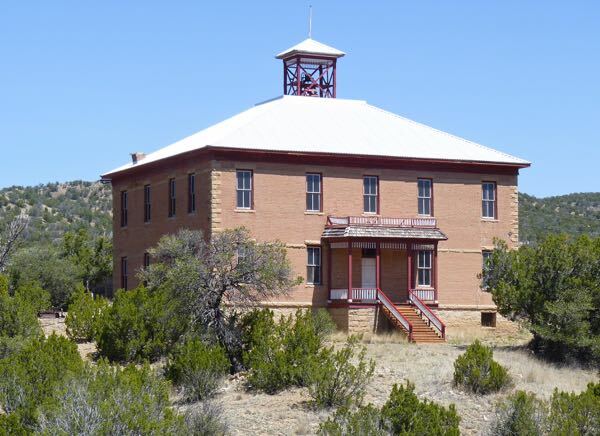 Outside of town was the Cedarvale Cemetery where past residents and the first governor of New Mexico rest. 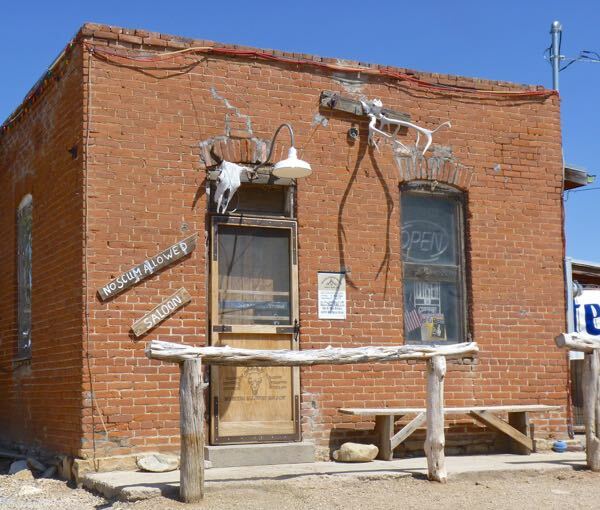 The mercantile building served several shops over the years and some items remain inside. A substantial school was built and taught the kids from 1895-1947. It now serves as a museum open May-October on weekends. 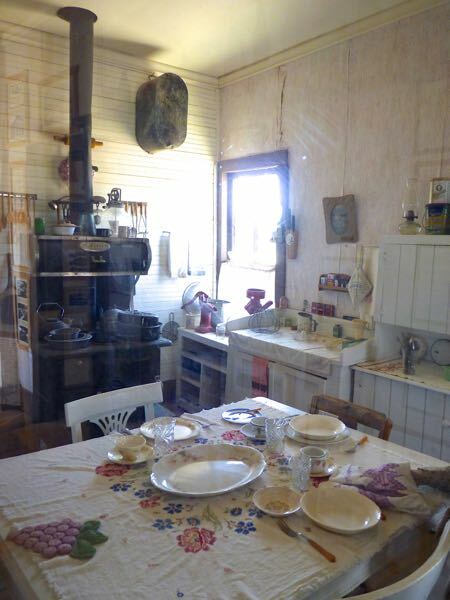 A miner’s house also serves as a small museum with contents typical of the era. Searched for a dispersed camp in the mountains behind the town; but, couldn’t find anything. So, I returned to Snowy River Cave NCA where I had previously located a sweet boondock camp with wildflowers. 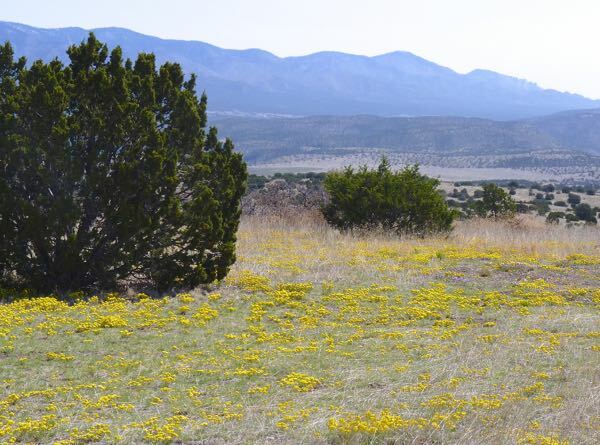 It had a view of Sierra Blanca Peak to the south, the Capitan Mountains to the north, and good internet. We are in Alamogordo now and are headed north. We are thinking of staying at the state park–Valley of Fire. 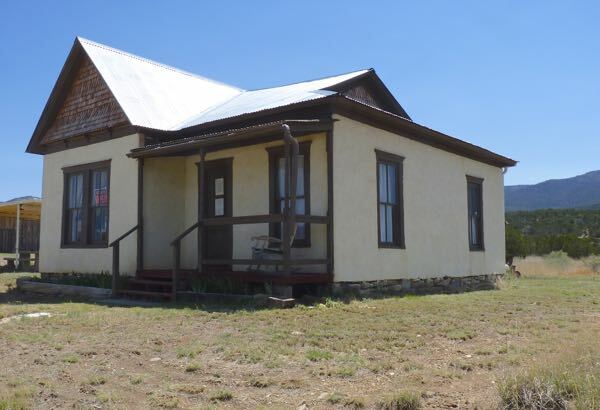 We want to visit Fort Stanton. Thanks for sharing. Valley of Fires would be a good place to camp. It is BLM not a state park. There is also a small BLM camp just as you turn onto the road going to Fort Stanton. Have fun!